Lassi’s are Indian drinks made with a yogurt base. You can have them either sweet or salty or spiced. I prefer to keep it sweet and enjoy the fruit flavoured lassi’s like Mango. Mango Lassi is such a delicious Indian drink with a hint of cardamom and some delicious pistachios, it’s like drinking dessert! 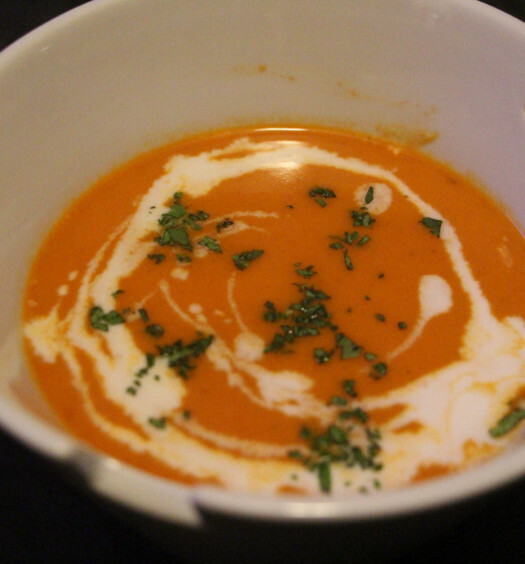 It’s made with mango puree, yogurt, ice cream and milk to thin it out a bit, spiced with cardamom. Pistachios are typical garnish to add a yummy crunch. 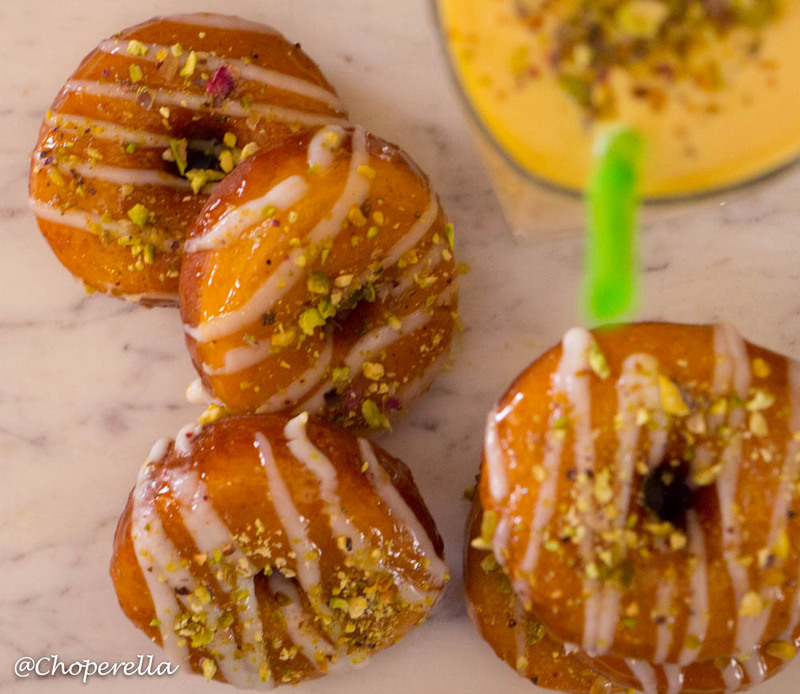 I made one of my favourite treats, donuts and combined the delicious Mango Lassi to create my Mango Lassi Donuts! You can make them big or small. I prefer mini’s so I can have more than one and still feel good about myself. Your choice. Donut’s are delicious to begin with topped with chocolate and sprinkles, but this is a great way to switch them up! 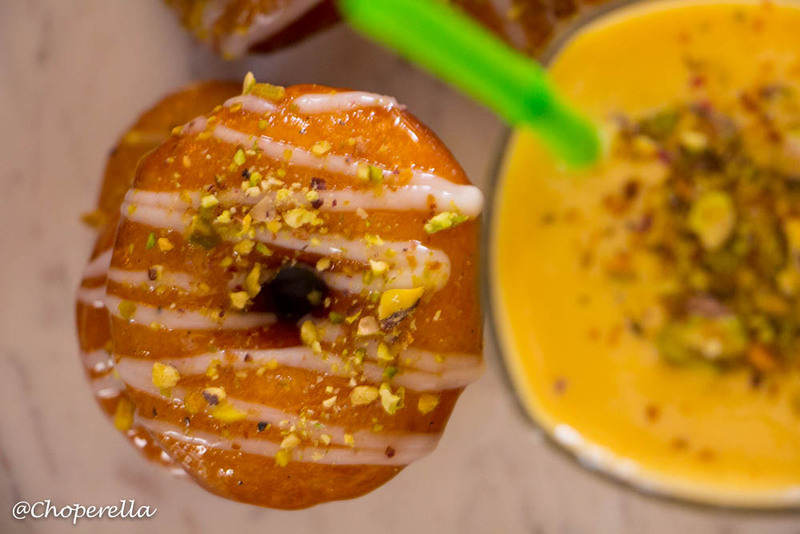 Add a delicious and sweet Indian flare to your next batch of donuts! NOTE: I’ve also made these eggless. Using an egg substitute that you can get at your baking stores like Bulk Barn. Sprinkle yeast over warm water and let foam up. Add foamed yeast, warm milk, eggs, 2 cups flours, sugar and shortening to a mixing bowl. Using either a mixer on low speed or a wooden spoon. While the dough is rising make your two glazes and prepare the garnish. 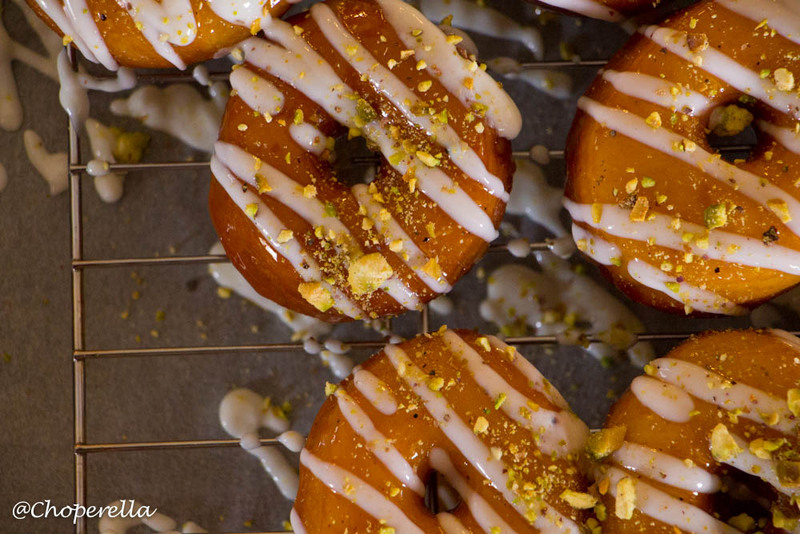 Mix the mango glaze ingredients together and set aside. 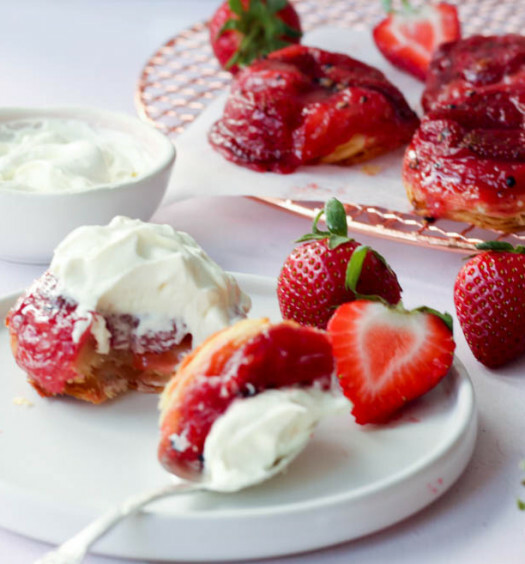 Mix the yogurt glaze ingredients and keep in the fridge. After about 1-1.5 hr when the dough has doubled in size it’s time to cut the donuts. 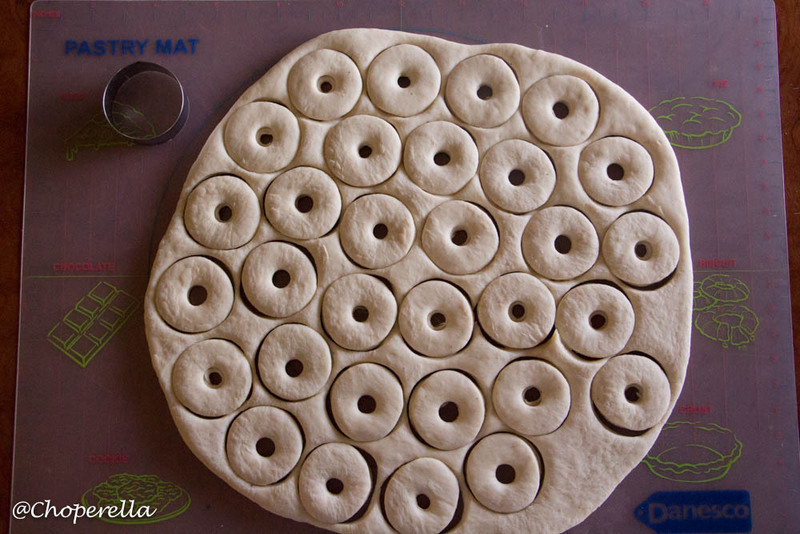 Roll out the dough on a lightly floured surface or a baking mat if you have one. 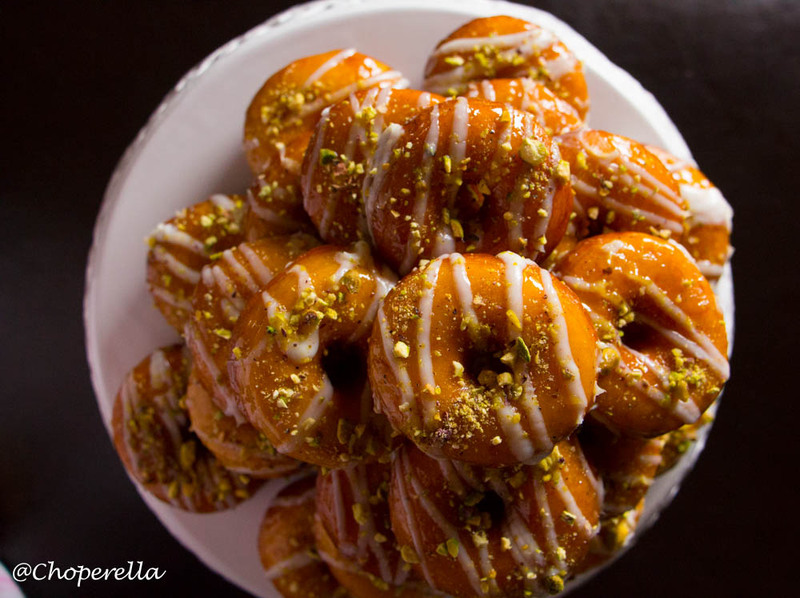 Using a donut cutter, cut either mini’s or regular size- whichever you prefer. Once cut do the same with the extra dough. Cover all donuts and let the dough rise for 20-30minutes. 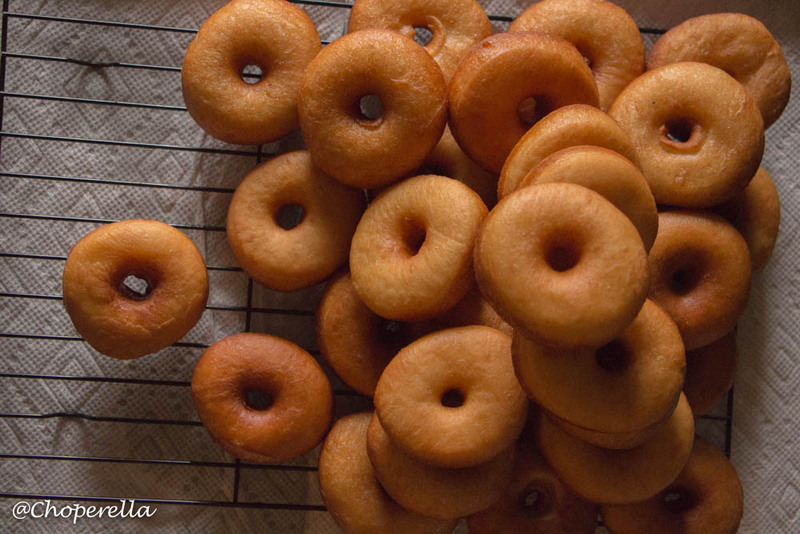 While the donuts are rising, heat your frying oil to 350°F. When ready start to fry your donuts!! 1-2 minutes each side. Cool on a rack with paper towel below. 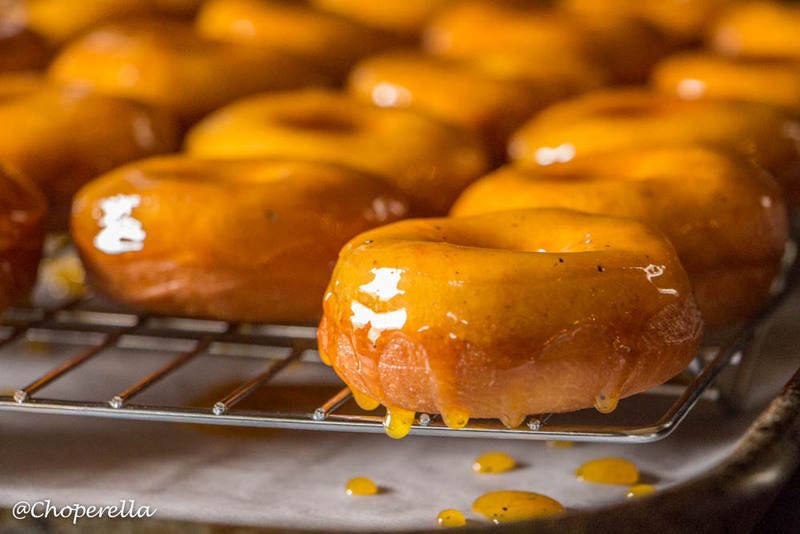 When the donuts are cool, dip them in the mango glaze. Drizzle the yogurt glaze on top (I put mine in a Ziploc, cut a teeny tiny hole to drizzle). Then top with your chopped pistachios.